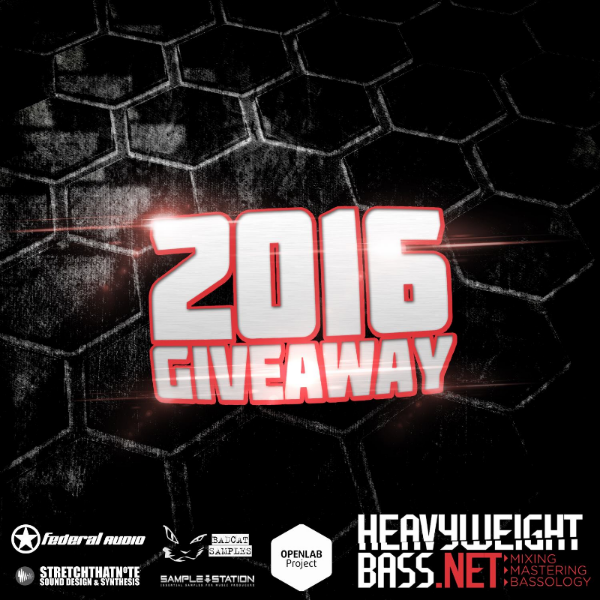 And to get things moving into 2016, we’re once again running the Heavyweight Bass Giveaway, only this time BIG and BETTER! Throughout January we will have one new giveaway pack every week, for 4 weeks, for you to get your grubby little hands on! Stretch That Note is part of the formidable SampleCraze Network. Eddie Bazil and the rest of the team have kindly donated a fine selection of their amazing, hard hitting Native Instruments Kontakt Modules for your production enjoyment!! Each module carries all the primary drum samples you would expect: kicks, snares, claps and hi hats and every octave has 2 kicks, 2 snares, 3 hi hats and one clap assigned to it along with the additional samples. 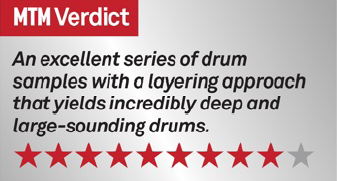 This allows for each octave to carry a separate drum kit, so that means you get 5 individual mini drum kits per module plus all the other samples spanned and ready to ‘hit’.All the DruMM Series are compatible with each other when layering. Each module has been designed to layer with any other module from any series. The Elements series continues the DruMM layering concept with NI Kontakt modules aimed at single drum hits. In these Elements Series, the modules are aimed at Kick samples. Low End has never been the same. EPIC is a hard-hitting electro-percussion and orchestral kits driven by a Kontakt – compatible engine featuring four unique Warping Machines. GRID offers real-time stretching and compression for granular mayhem, SCUZZ and TIME WARP independently change playback speed or pitch while preserving transients to alter size or scale, while FORMANT implants vocal/robotic characteristics. If, like us, these modules rocked your world, then head over to Stretch That Note. They have plenty more amazing modules in the series available on their website (link below). And they all priced just right as well…Shamon mother truckers !! !